10th Ramadhaan marks the demise commemoration of the Mother of the Greatest woman to set foot on earth, Hazrat Khadija al-Kubra (sa), the Mother of Fatima az-Zahra bint Muhammad Rasul ALLAAH (peace be upon him and his Family). Khadija (sa), the Mother of Orphans, who also helped rear Imam Ali (as), who together with Imam Ali and the Noble Messenger (peace be upon them all), were the first and only persons who performed Salaah from its very inception. Hazrat Khadija (sa) was the richest Lady in Arabia, if not the richest person, at the advent of Islam. She spent every dirham and dinar she had in the Way of ALLAAH, so much so, that at the time of her demise, she did not even have one coin to purchase a burial shroud (kaffan). 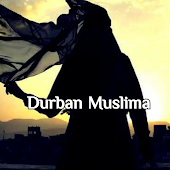 Khadija (sa), the First Mother of the Believers and the Matriarch of the Institution of Imamat! Peace be upon her at all stages of her existence and beyond!! !